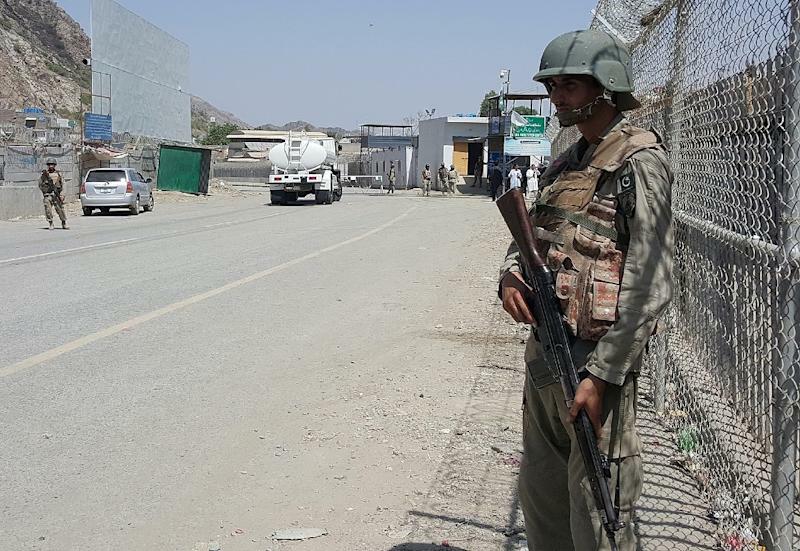 Islamabad (AFP) - Pakistan has begun building a fence along its border with Afghanistan to curtail the movement of militants, its army said, in a move criticised by its eastern neighbour for dividing communities. The two nations are divided by the "Durand Line", a 2,400-kilometre (1,500-mile) frontier drawn by the British in 1896 and disputed by Kabul, which does not officially recognise it as an international border. It also splits the Pashtun ethnic group between the states. Both routinely accuse the other of harbouring militant proxies to carry out cross-border attacks, while their militaries have engaged in numerous skirmishes in recent years. Last year, Pakistan completed an 1,100 kilometre (700 mile) trench along the southern half of the border. The current round of fencing began in the northern tribal regions of Mohmand and Bajaur over the weekend, according to the army. "It is first time we've started the formal fencing with the political government onboard. Previous efforts...were local in nature," a security source said Monday. A statement added "additional technical surveillance" would also be deployed but did not elaborate. Najib Danish, a spokesman for Afghanistan's interior ministry, denounced the move but said his government had not yet seen any construction work. "We have not seen any signs of building fences along the border. But it is not going to solve the terrorism problem. It is only going to divide the people and we will not allow it," he said. Fencing threatens to disrupt the daily lives of communities who have traditionally paid the border little heed, with villages straddling the frontier that have mosques and houses with one door in Pakistan and another in Afghanistan. They now face stricter controls and are obliged to use official crossing points, which are subject to delays and frequent closures including one that was lifted last week after a full month. Tensions recently soared after Pakistan blamed Afghanistan for a wave of militant violence that killed 130 people in February.